The Museum of Musical Instruments, hosted in the rooms of Castello Sforzesco in Milan, houses a rich collection of musical instruments from the 15th (b.C.) to the early 20th century. It's a path that winds through mandolins, violas, guitars, violins, wind instruments and harpsichords ordered by typology and origin. This itinerary wants to examine in depth one of the Lombard worldwide excellence: the "Liuteria" (bow-instruments making and lute manufacture). In Milan there are many shops of masters who dedicate themselves with passion to this ancient and noble art. 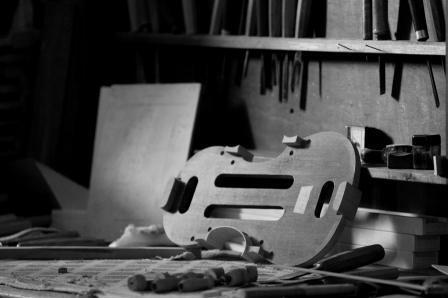 We will meet an artisan who builds modern string instruments in his laboratory using models ispired by the Milanese school and creates copies of traditional instruments.